Monster Jam returns to Camping World Stadium on Saturday, January 19, 2019 at 7 pm. 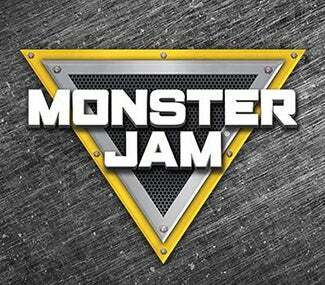 Featuring 14 trucks and drivers vying to be the Orlando champion, Monster Jam® is adrenaline-charged family entertainment providing jaw-dropping displays and gravity-defying feats that promise to continuously keep fans entertained. Monster Jam features some of the most recognizable trucks in the world including Grave Digger®, Max-D, El Toro Loco®, Monster Mutt Dalmatian, Monster Energy Mutant and many more. (Trucks/drivers subject to change without notice.) World-class drivers push these perfectly-engineered Monster Jam trucks to their limits in Freestyle, 2-Wheel Skills and Racing competitions that provide families with an edge-of-their-seat spectacle and leave them craving more of this unexpected, unscripted and unforgettable event. Groups of 15 or more can reach out to 866.248.8740 for more group sales information.